Piracy on streaming devices has turned into something of a hot topic in 2017. Numerous Kodi add-ons have been shutting down, and lawmakers have been cracking down on the sale of 'fully-loaded' (ie piracy-filled) Kodi devices. Now Roku is tackling piracy issues of its own by cracking down on the use of its 'private channels' for streaming pirate content. Private channels are meant as a means for developers to try out content on a small scale before rolling it out publicly. People creating new private channels are being faced with warning messages telling them not to use the channel for piracy and that material can be pulled without prior notice. Engadget notes that it's not unsurprising that Roku would attempt to crack down on piracy now, given that it's hoping to go public in 2017. The company has also had trouble selling devices in Mexico, where they're banned due to these private channels. 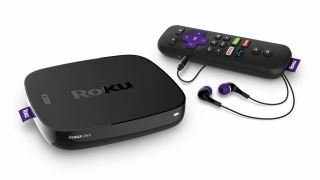 Interestingly, Roku devices do not support Kodi, which has been the focus of much attention from copyright holders recently. Roku might not be removing private channels completely, but it will be interesting to see whether these warning messages do enough to deter pirates.